Newmello I, Virtual Electric Piano from Wavesfactory. 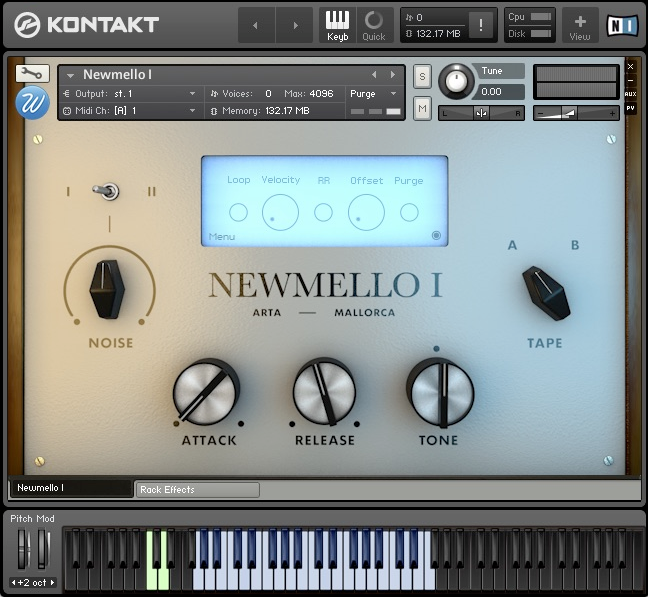 Wavesfactory has released Newmello I, the first library in their new Newmello collection of mellotron-inspired libraries for Kontakt 4 and 5. 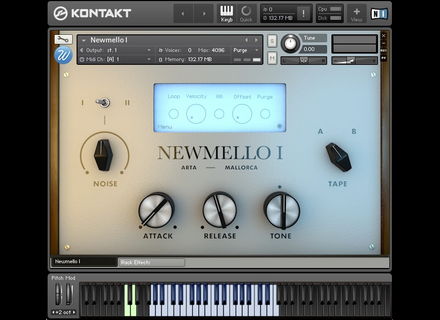 Inspired by the Mellotron M400, Newmello aims at bringing back the famous and recognizable among all sound that shaped the 60s and 70s, while adding new sounds and features that allow it to go even further. While the original, tape-based Mellotron M400 obviously had no round robin and offered a single velocity layer (with samples only playing for about 8 seconds), Wavesfactory's version adds optional 3x random round robin, dynamic range control and looping. Other additions include a +/- octaver, noise control (with two different modes), mixable tapes, tone control (tilt EQ), a total 25 instrument samples and a brand new script called "Rack Effects" which adds up to 12 audio effects, boosting the library's sound design capabilities. It is now available for the special introductory price of €9.95 (+VAT if applicable) and will go full price at €19.95 after December 31st, 2015. More details at Wavesfactory's website. Hornet Plugins releases Guitar Kit Hornet Plugins has released Guitar Kit, a complete solution for guitar sound including virtual amplifier, cabinet and microphone simulators.